Looking for something fun to do with kids? Historic Gardner Village is a must see- especially around Halloween and Christmas. From witches and pumpkins to elves and Christmas trees, this historic hub is entertaining for young and old. I mentioned Halloween as the optimal time to visit Gardner Village. Everything adorned with pumpkins and witches. 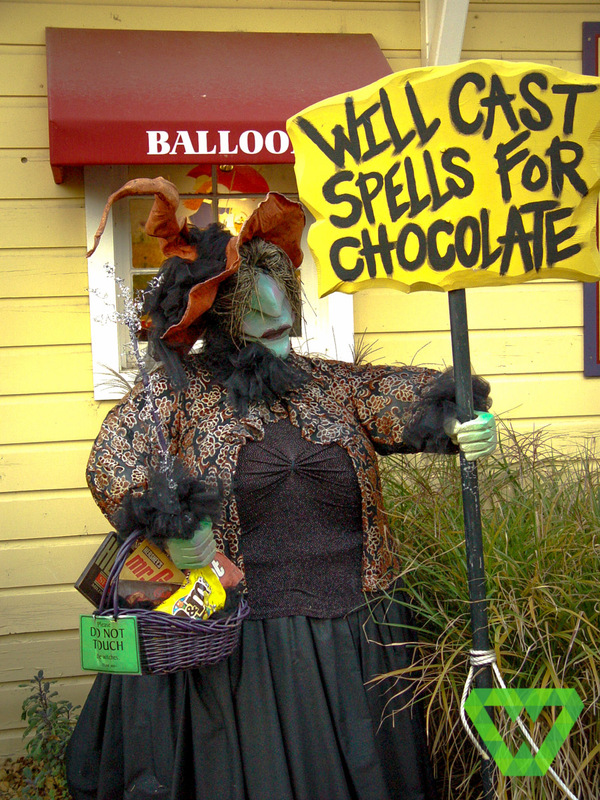 For the little ones, a scavenger hunt to find certain witches will earn a chocolate chip cookie at the Naborhood Bakery for $.35. They also have other fun activities for kids such as the Wee Witches Weekend and Wee Witches Playground (which do have a small fee). However, parking is $5 at these events during certain times. If you live close to TRAX, it’s fun and relaxing just to take the train to Historic Gardner Village. For the adults, there is the infamous Witchapalooza Dinner Theater and Breakfast with a Witch (kids are also invited to this event). For the young at heart there is Witches Night Out. The dinner theater is $30 and you would need a reservation in order to secure a spot at the table. They hold a similar scavenger hunt with the kids at Christmas. Are you hungry for good old-fashioned cooking or have a sweet tooth? Gardner Village has a bakery, restaurant, and candy shop with reasonable prices and a good selection of tasty choices to eat. Looking for ornaments, jewelry, or furniture? This unique shopping complex caters to the needs and wants of many- clothes, jewelry, dolls, toys, books, furniture, ornaments, kitchen items, and so much more. We enjoy the Farmer’s Market held every June through October from 9am-1pm. More than fifty vendors display their prized fruits, vegetables, jewelry, etc. Sometimes they even have live music, a petting zoo bounce houses, and more. Keep in mind, most kid activities come with a small fee. Parking is free and most vendors accept credit card payments. Gardner Village is good entertainment no matter what time of the year you visit! Our kids love to watch the ducks, taste a sample of fudge, and stroll through the shops. Although there are some activities and events listed that require a fee, there are plenty of things to do and see that are completely free. Enjoy! For more information about Gardner Village, visit their website at www.gardnervillage.com.